← Thank you for your what? Posted on July 10, 2012, in For Dads, For Moms and tagged children writing, dogs, funny kids writing, Humor, kid writing, letters asking for pets, letters to parents from children, parenting, Stuff Kids Write, Stuffkidswrite.com. Bookmark the permalink. 13 Comments. Oh that was nice, really really nice…. (Still including aliens)…. hahaha that was priceless. I hope they save that for when he’s older. This one, this is a serious masterpiece. I loved the “I need a dog to live” and the fact he needs him to “save his life”. I believe he had to suffer bullies for a while. I love that he included in the options a “vicious dog”, that seems open-minded. And “I’ll give you half of my allowance”, that’s genius. Not to mention the hydrate part. What a smart little boy, such a vocabulary! He also has great penmanship. I hope he gets a dog soon. The alien part was pretty funny! Oh this is hysterical. He seems pretty smart – what kid uses “hydrate” instead of “water”?! And he writes in better cursive than I do. If I were his mom, I would probably be pretty easily swayed! 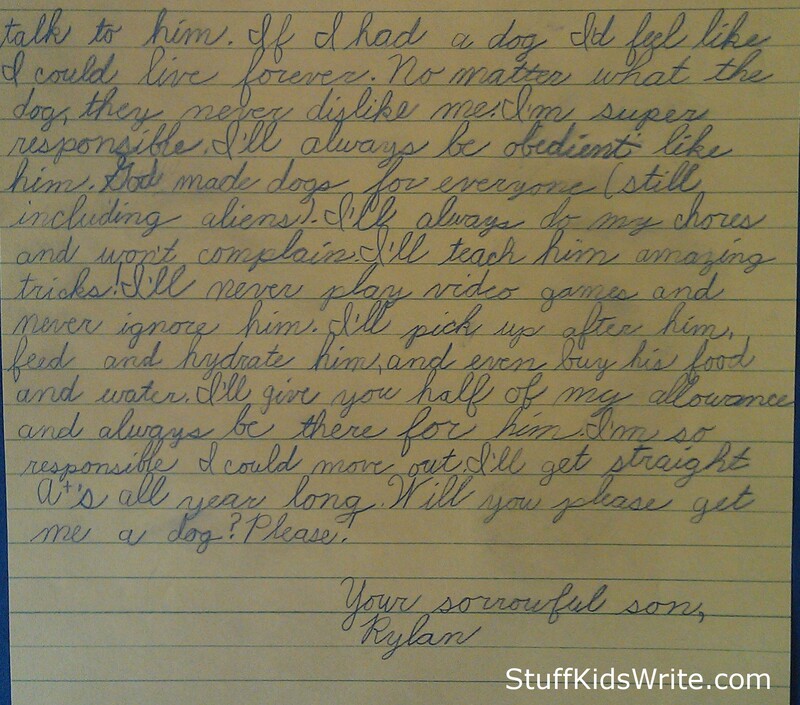 I love all of his pleas and that “he’ll never play video games”. I hope that he got a dog and that his parents held onto this letter for when he backs out of these deals as he will, we all did. 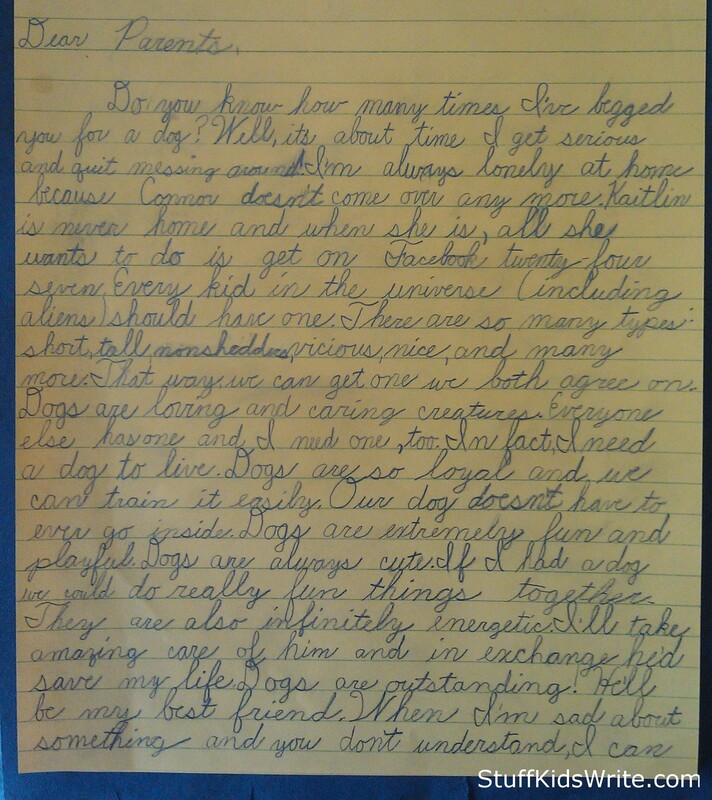 That awkward moment when this kid writes better cursive than I do…..